Photo: Dexter Baptist Church, Montgomery Alabama. Rev. Dr. Martin Luther King, Jr., was pastor at Dexter Avenue Baptist Church in Montgomery, Alabama, from 1954-1960. 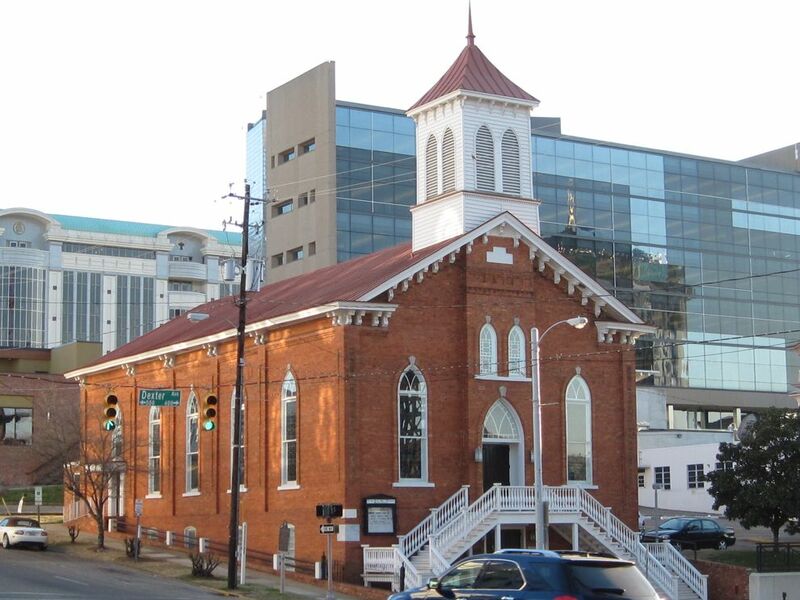 King helped organize the Montgomery bus boycott from the basement of the church. During the boycott, African Americans refused to ride Montgomery city buses, to protest unequal treatment. The boycott lasted 381 days and when it was over, the U.S. Supreme Court declared segregated bus seating unconstitutional. Ten years later, King walked by his old church during the 1965 Selma to Montgomery march for voting rights. Behind the church stand the high-rise offices of the Southern Poverty Law Center, a major civil rights organization.